From the 11th to the 21st of December over 2,500 student athletes representing 59 countries competed in the prestigious Winter Universiade, which was hosted in Trentino, Italy. The competition was won overwhelmingly by a formidable and dominant Russia who won double the medals of 2nd placed Poland who themselves were run very close by South Korea. Team GBR’s only medal came from the Men’s curling team who registered silver after being beaten by a classy Sweden side in the finals, the Women’s curling team were unlucky not to medal after being beaten in the Semi-final after a strong campaign. Results in cross country skiing, Ice hockey and Snowboarding proved hard to come by in a field of world class talent and experience which was displayed at this huge competition. To understand how important University Sport is to the national team you need only consider that, over the last 20 years 61% of Team GB Olympic medallists have been to University, and developed their talents at international student competitions. Strathclyde student Jennifer Osborne competed in the Women’s snowboard cross and finished in 20th place overall, in an extremely difficult competition full of international experience, the eventual winner was Eva Samkova, a Czech who was competing straight off the back of winning a World Cup earlier in December. Though Jennifer feels she was capable of better performances, the experience of competing at the 2nd biggest global winter-multisport event in the world was, in her words, “Exceptional, it was so different to the other competitions I’ve done”. 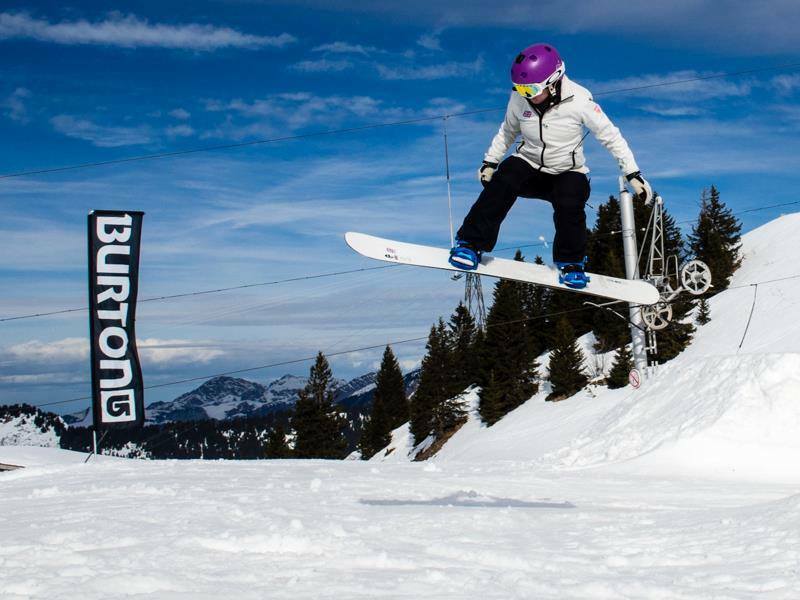 As a regular in the British Snowboard cross team Jennifer competes frequently in European competitions throughout the calendar, she explains that though she’s used to high standards in races, the Winter University games stood out as special. Jennifer expresses that she was fortunate to have even made the games, after undergoing surgery in the summer which laid her off training for 3 months. After taking some time to snowboard recreationally after Trentino, Jennifer will now resume training ahead of a host of competitions which are already lining her diary, the first of which is in February. She will take encouragement and confidence from her selection as a bona fide British athlete, and will look to carry her exceptional talent into the next round of races.